"Eight months pregnant and nervous about the future, Ivy Rose doesn't recognize the woman approaching her and husband David as they attempt to rid themselves of the decades worth of junk cluttering up their suburban home. The woman says she's Melinda White--their former high school classmate, now pregnant also--and asks if she might revisit the old Victorian house she recalls playing in as a child. David takes her inside. But Melinda never comes out. With her husband a suspect in the bizarre disappearance and probably murder of the near stranger he claims not to remember, Ivy must now dive into a deadly whirlpool of deceit, betrayal, and terrifying alternate histories in pursuit of a shocking trust--a truth that could destroy everything...."
Once upon a time, there was a neighborhood in the Bronx that time forgot. Its tiny shotgun houses were built in the 20s on waterfront land that was once part of Snakapins Amusement Park which, in its heyday, was reachable only by ferry. Today its resident enjoy views of a salt marsh and, in the distance, the Manhattan sky line. Ninety-something Mina Yetner’s father was an entrepreneur who built the houses. She grew up in the one where she still lives. Next door is Sandra Ferrante, a much younger woman, a lonely woman with a serious drinking problem. Mina doesn’t like to get into her neighbor’s business, but when Sandra is pulled from her home and taken by ambulance to the local hospital, she leaves Mina with a message to convey to her daughter. Seriously intrigued, especially after reading an excerpt of the first chapter, I said, "Of course" which subsequently reminded me of the other book and off I went to look through the stacks to find Never Tell a Lie. Now you know what I'll be reading this week. *grin* The book has also been made into a movie called And Baby Will Fall and is showing on Lifetime network on February 8th. Sounds like a good time to do a Book to Movie comparison. Ephron comes from a family of writers including her parents who were Hollywood screenwriters and her three sisters Delia, Amy and Nora who passed away last year. 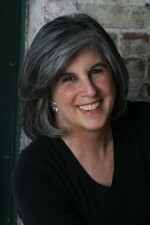 She will be presenting at a series of writing workshops as well as doing a few book signings this coming year. Be sure to check out the schedule for when she'll be coming to your town. Hop over to her website and check out her other books including her Dr. Peter Zak mystery series Amnesia co-written with Donald Davidoff. Week 5 : "Heart of Darkness"
Joseph Conrads magnum opus has been on my radar for long time.Almost all best of lists included it , but for some reason I never get around.Unlike a lot of others classics, who can be used as cold weapon, it is very short,so five days I just thought "What a hell" and tried it. Book is about Charles Marlow as he becomes captain of ivory steamship in Africa,and about his journey to find Mr. Kurtz ,ivory transporter who has set himself as a god among natives. I should from start that a lot people wont like this book for mere writing Conrads writing style.Unlike some other classics this truly feels like it was written century ago.Conrad writes very meticulously,his vocabulary is quite big.I have noticed that some people think Conrad is just showing off with his stupendous vocabulary. Books pace is very slow.Book is narrated so all time we spent all time listening to narrators thoughts and sometimes hard to follow ruminations. Book is thematically quite interesting and deals with the themes of colonialism, racism, and savagery versus civilization.I especially liked how book subverted and inverted usually dichomotized symbolism of black and white. In conclusion altough book for some people can be hard to get through I think it is worth a try.It is only 100 pages long,and very important manuscript in literary history. Finished reading Never Tell a Lie and it's just more suspense than anything. Think you would be able to handle it.